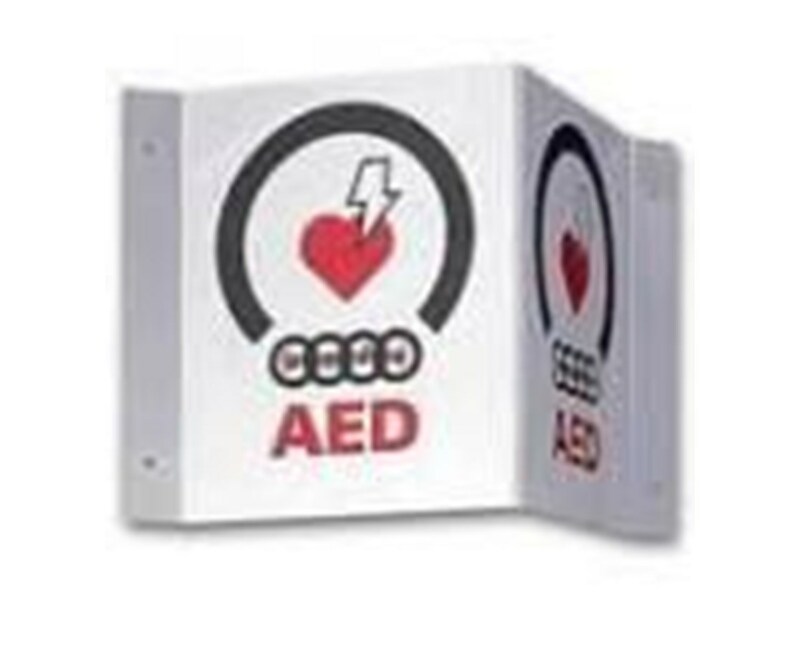 When faced with a victim of sudden cardiac arrest, every second counts in the performance of lifesaving efforts. Easy access to high-quality equipment is critical in the first moments of a rescue. 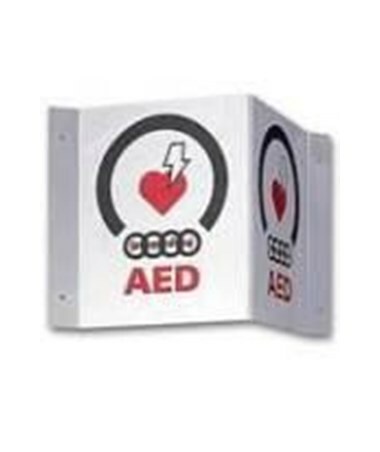 Zoll Medical's 3-D V-shape AED wall sign clearly marks the location of defibrillation equipment so that rescuers do not waste precious minutes searching for it. The sign's unique three-dimensional shape and bright colors ensure visibility from a distance in any direction.